The DARK ICELAND crime series is set in and around the small town of Siglufjordur in Iceland, the northernmost town in the country, only accessible via mountain tunnels. 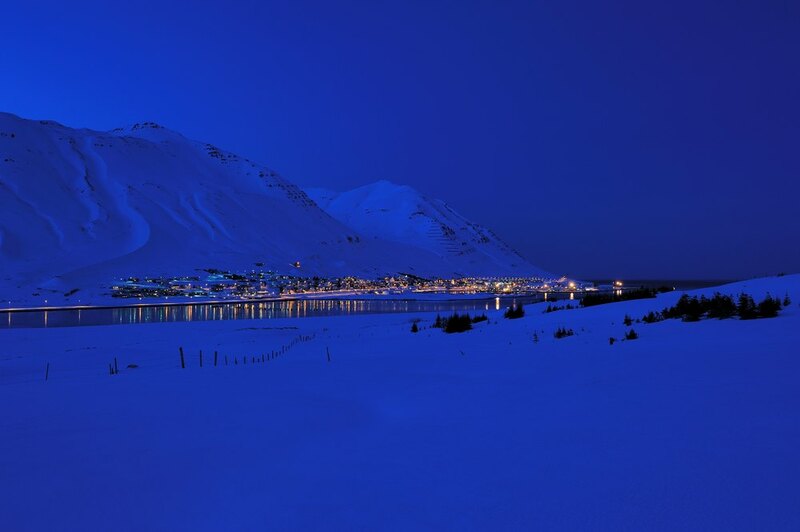 Siglufjordur is best known for its status in the past as the center of herring fishing in Iceland. The town now has a much smaller population than during the peak of the herring-era and can be dark and snowbound during the winter, and indeed during the winter months the sun disappears behind the mountains, not to be seen for two months. A town where “nothing ever happens” as the local inspector puts it – but he couldn’t be more wrong.